Admirers of sophisticated leather designs can look forward to exploring the new de Sede collection, now at DOMO. 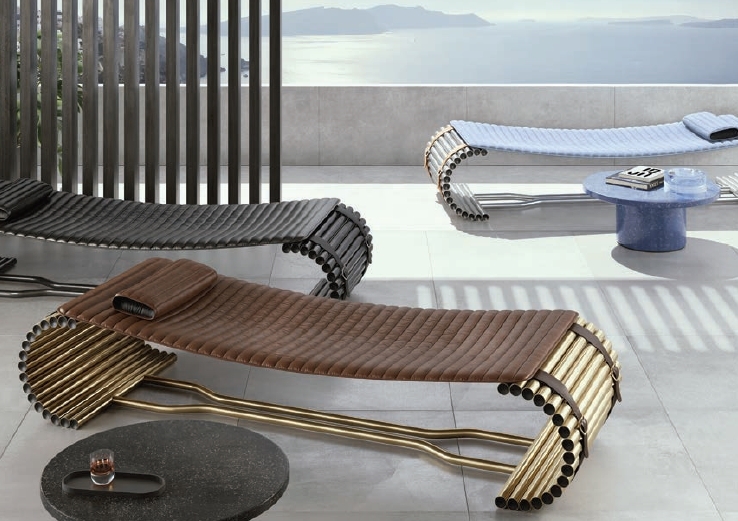 The new collection, first revealed at imm Cologne earlier this year, features an array of innovative designs, including dining and coffee tables, armchairs, outdoor furniture and beds. As with previous masterpieces from the Swiss manufacturer, the new collection blends exquisite form with signature de Sede upholstery, carefully crafted by hand down to the last detail. 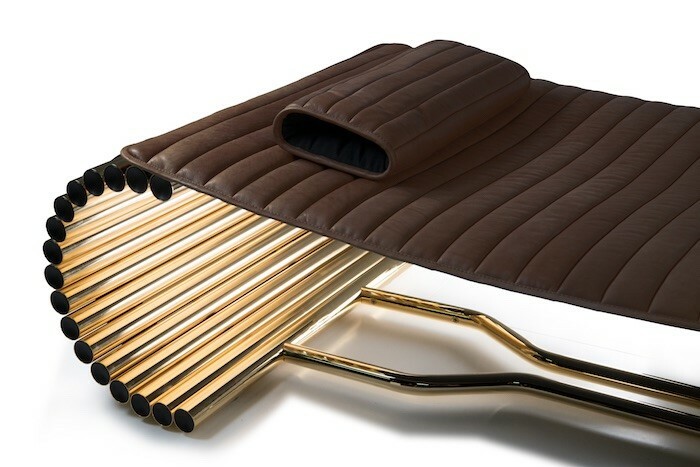 DS-1000 Daybed with Cushion – Innovation and comfort are successfully unified in this futuristicdaybed, no less than a constructive masterpiece. The daybed is suitable for both indoors and outdoors, depending on the choice of upholstery fabric. DS-144 Armchair and Footstool – The DS-144 armchair and footstool maximise seating comfort with a streamlined design. Surrounding flat edges on the chair offer unaccustomed clarity and directness that cocoons your body for ultimate relaxation, with the footstool keeping you well rested. DS-51 High Back Chair and Footstool – A timeless design first conceived in the 1970s, hand sewn upholstery and a low seat height make the DS-51 High Back Chair and Footstool perfect for leaning back in after a long day. DS-515 Wire Chair with Armrests – As an unconventional upholstered chair, the DS-515 Wire Chair with Armrests is slender yet unexpectedly plush. Straight lines, a shape-forming frame and cross leather lacings make this Wire Chair a truly beautiful companion at the dining table, home office or conference room. DS-612 Round Coffee Table – Made with innovative de Sede materials, the DS-612 Round Coffee Table’s delicate top is supported by a solidly designed column. 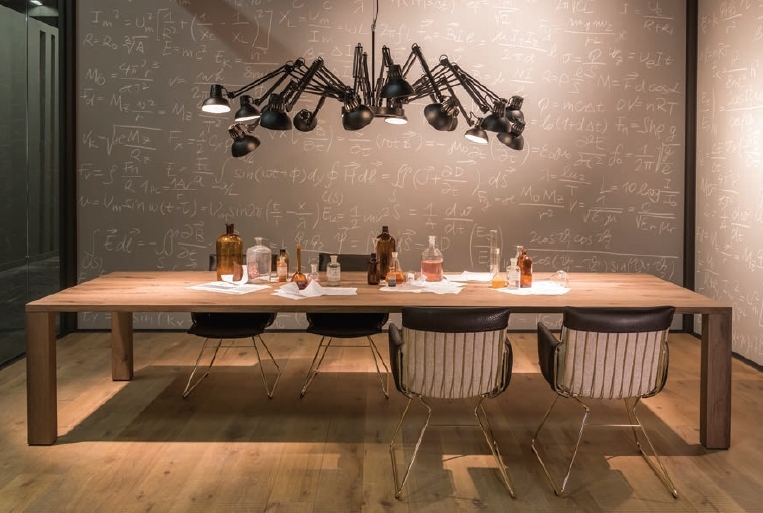 DS-777 Dining Table – The four corner legs carry the unassuming top with ease, offering the table refined stability. The design is perfect for believers in understated elegance, almost a classic in the contemporary genre. DS-9090 Bean Bag – The DS-9090 bean bag is an iconic must-have piece that sets itself apart fromprevious de Sede creations. Experience enhanced seating comfort as you sink into this beanbag that defines sitting through its premium quality pyramid-shaped insert. The DS-9090 bean bag will impress with its eye-catching appearance, wherever you place it.